We have been maintaining two versions of the same product for 11 months. We’ve managed to convert 66% of our customers to the new product. I’d like to share with you our experience of migrating the customers to the new product. We knew that the new product is more efficient and easier to use so we pressed our users to migrate to the new version. But there was a problem with that: users hate big changes, no matter good or bad. Whenever you release your next big thing, you must be prepared for a harsh reception. Releasing a new product is not the end of the story. Don’t diminish the importance of helping your users with adapting to the changes. Users need time to get used to them. Will I need to install the new version once again? Will my team mates be informed about the changes? Will any features be removed? Will the price of the product change? It’s your job to dispel your users’ doubts. There are many effective ways to do that. Your website home page does not seem to be a good place to inform about your big product update in the first place. I don’t think it’s a good concept, though. If you think about a visitor that enters your home page, it’s probably a newcomer that wants to know more about your product in general. He doesn’t care if it’s version 5.2 or 1.4.7 - he just wants have his problem solved. We chose another strategy. We have released a brand-new website and funneled all new trials right into the new product. They did not even know that a product is 1-day old. No flashy headlines, no “Brand New!” whoops. We haven’t yet notified customers of the old product about the change. This gave us some time to receive feedback from trial users and fix a number of bugs. We wanted to prevent our long-term clients from being early adopters of the new, buggy product and give them a polished one a few months later. After a few months, we decided to start to migrate users to the new product. We didn’t want to force the migration on all customers, though. Some of them wanted to do it right away, while others needed more time. We started to give our customers as much information about the changes as possible. It was targeted at our early adopters and it made them upgrade their products without a hassle. Different people have different needs and expectations from your new product. Writing a few words about the product is definitely not enough. We tried to gain the customers’ confidence with a clear, detailed article on upcoming changes. A thorough article explaining changes will help you build trust among your customers. The article became a valuable resource we could present to those customers who were considering the migration. A product blog is an obvious way to announce your new product. The blog post can be the first moment your customer learns about the changes. The post shouldn’t cover too much detail to avoid confusion. Customers should understand the reasoning behind the update. Remember to explain it from your users’ perspective, not yours. For example, if the product was updated because of the aged technology, inform the customers they will be given a faster product, not the latest backend language compilation. Speak the language of benefits, not the technology that has changed behind the scenes. Make use of your Facebook cover photo to promote big product changes. Migrating to the new product means taking responsibility for the change of your employees’ workflow. This is why many customers delay the migration as long as possible. 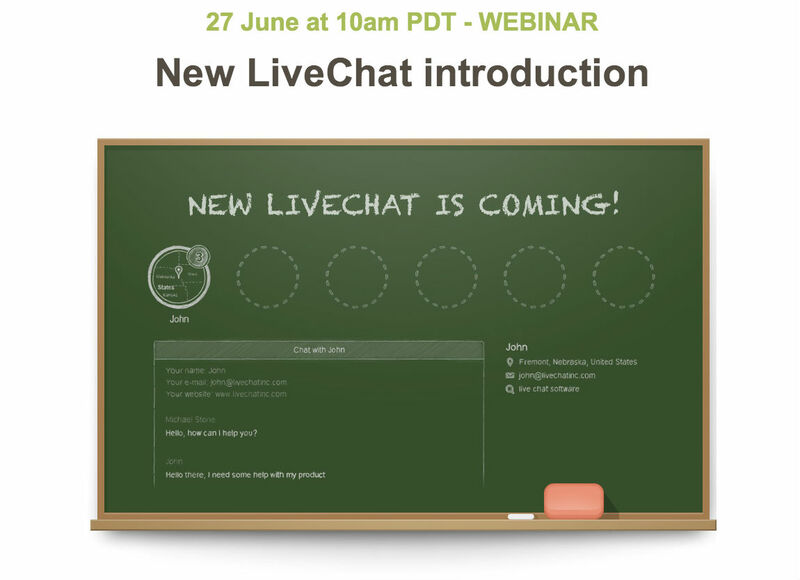 We decided to organize a webinar introducing the new product to reduce the migration anxiety in our users. Headline of the newsletter that we sent to all our customers. The webinar produced good results. Out of 280 who signed up for it, we had 145 webinar attendees, which is a really satisfying number. it became a valuable resource to share with other customers that did not attend the webinar. After a few attempts to migrate our users (webinar, social media), we decided to communicate with our customers more directly. Two months after the webinar, we sent a global newsletter to all users of our old product, along with a permanent migration suggestion displayed in the old product. The newsletter sent to all our customers using the old product. The newsletter was sent to 3,695 customers using the old product. 1547 users (41% of all recipients) followed the link within the first three days. The in-app message permanently displayed in the old version of the product. These two steps combined produced fantastic results. 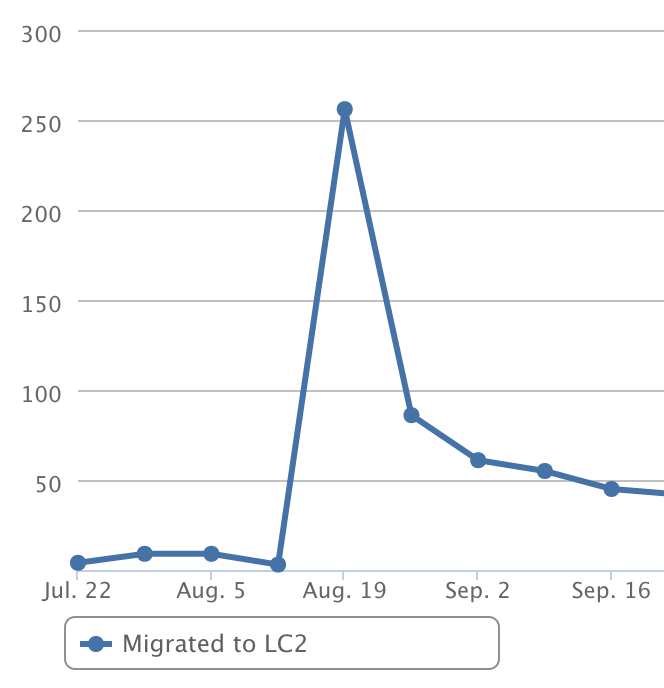 256 customers migrated within the first week. That was around 7% of all customers using the old product. 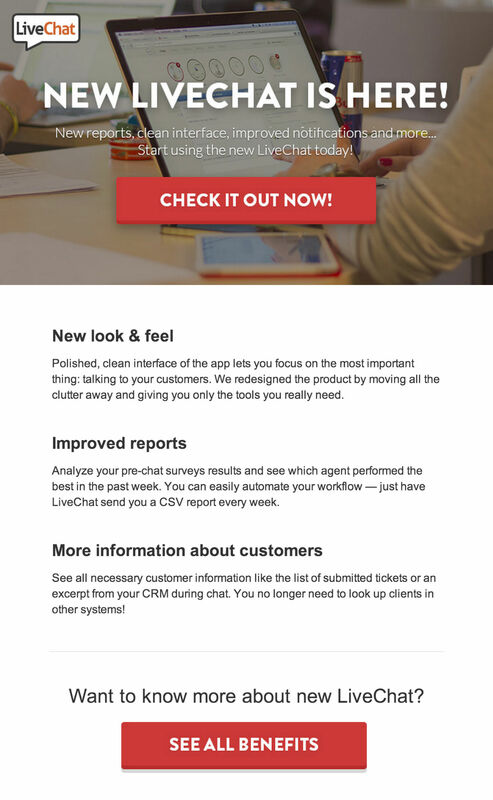 A big number of customers migrated to the new product after receiving the newsletter and seeing the in-app message. Our another idea was to send dedicated newsletters to some of our customers a few months later. We wanted to show them the benefits of the migration in their specific use case. For example, we saw that some companies were heavily using a particular feature in the old product. We sent a targeted email to 518 such customers explaining that the feature became more powerful in the new product. A targeted newsletter sent to 518 customers convincing them to migrate their account. We invested lots of time to separate 6 different segments of customers and craft 6 different email newsletters. Having put so much work into the newsletters, we had big expectations. However, the numbers were pretty bad. The e-mail pictured above had a 31,4% open rate, but only 2,7% of users (exactly 13 customers) were interested and clicked the link to learn more. Other targeted campaigns were unsuccessful, too. 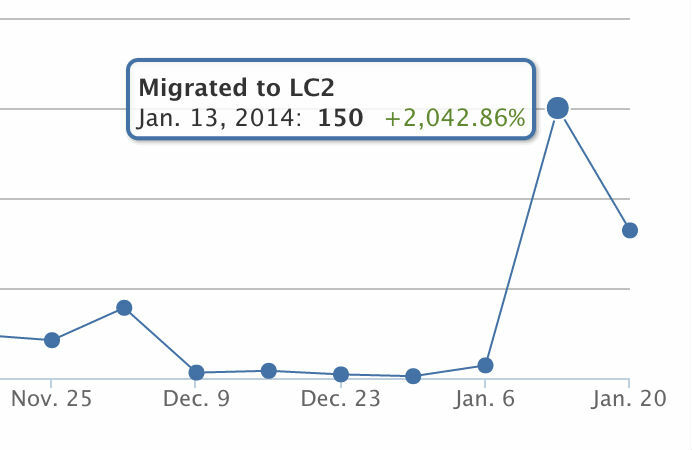 The number of migrations from all 6 dedicated newsletters (sent to 2,200 customers in total) was less than 1%. After a few weeks of displaying in‐app migration suggestion, users got used to this message and only a few customers per week decided to upgrade the product. This is why we started telling their employees a harsh truth: they were using a 15-months old product. 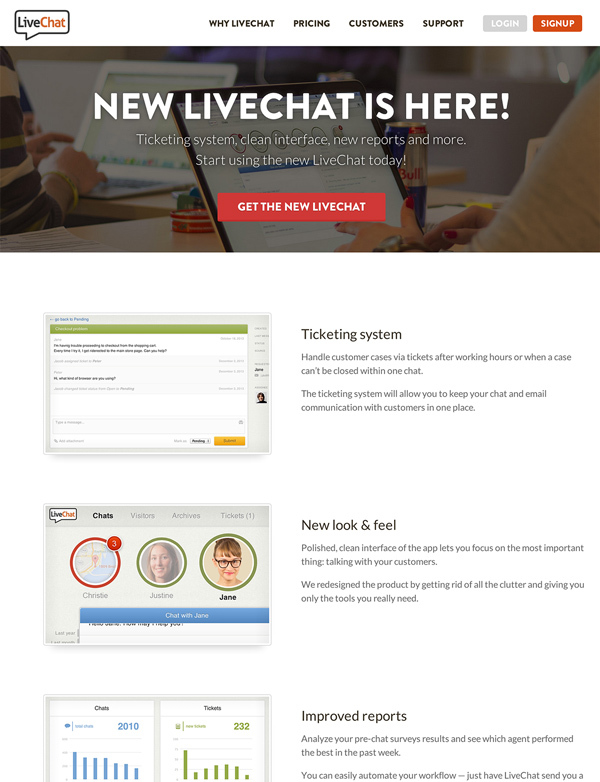 We published this information in LiveChat agents’ app and the admin interface. Migration suggestion in the chat agents’ application. We informed all agents about the new software. However, only the account owner could perform the migration. This is why we decided to display the name of the account owner. Agents could now convince their bosses to upgrade the software. When the account owner logs into the app, he could migrate the account right away. The number of migrations skyrocketed within a few hours. 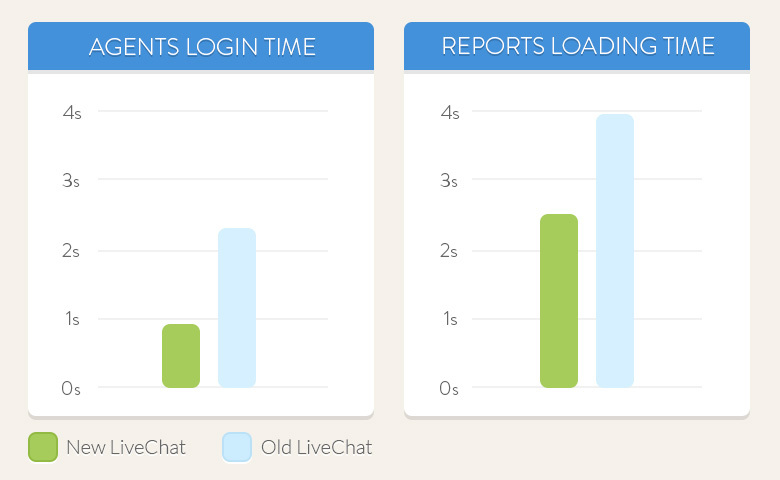 As much as 150 users (~8% left to migrate) decided to upgrade the account in the first week. Another peak in customer migrations occurred after they were told that their software is 15-months old. 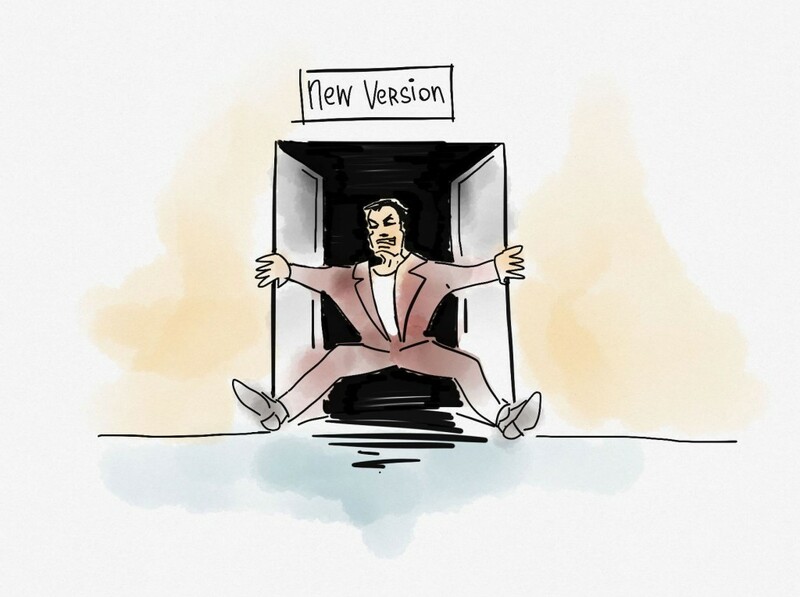 It’s important to understand that your product upgrade affects all the people involved in the business and not only the one that clicks the “Migrate Now!” button. When a customer migrates, we send an email to all his employees and notify them about the changes. The email explains who migrated the account (so that everyone knows who’s responsible for the process), what has changed and who can help in case of problems. An email is sent to everyone affected by the migration. Keeping users informed prevents them from confusion (“What happened to the app I was using?”) and offers the guidance of our support team if anything goes wrong. Releasing a new product for current customer base is not an easy task. It requires lots of attention in different communication channels: your website, social media, blog and even inside your product. Informative materials (extensive article, recorded webinar) proved to be a valuable resource for all customers considering the migration. Many users preparing to migrate their accounts wanted to know absolutely everything about the whole process in advance. An in-app migration suggestion explaining that old product is no longer updated had the highest long-term conversion rate. It helped us move 8% of our customers to the new product within the first week. It still works, but with a lower success rate. Sending too many emails to customers is just an uphill struggle. 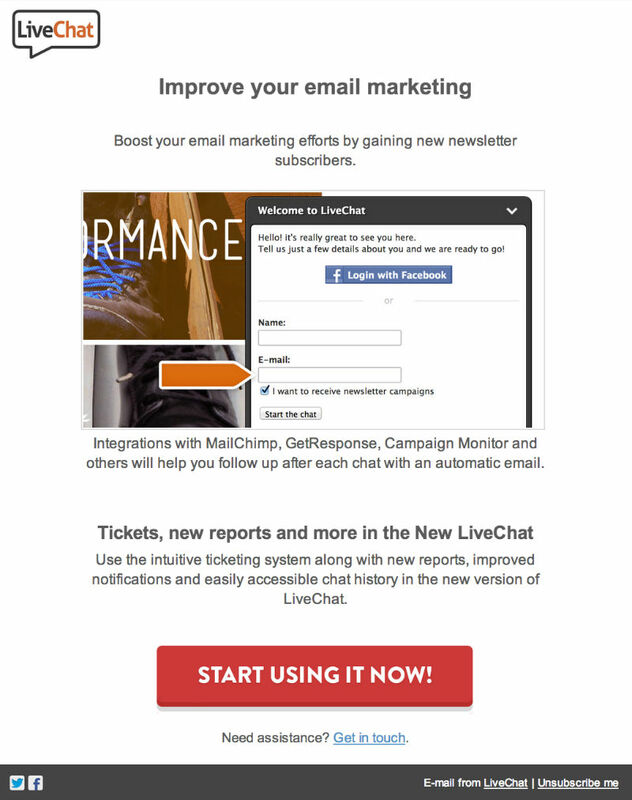 If a newsletter in June didn’t convince your customer to upgrade the account, even a dedicated message a few months later won’t be different. Try to understand the reason why a customer doesn’t want to upgrade. Explaining that the old product is no longer updated can be a good push. Inform all affected users once the account is migrated. 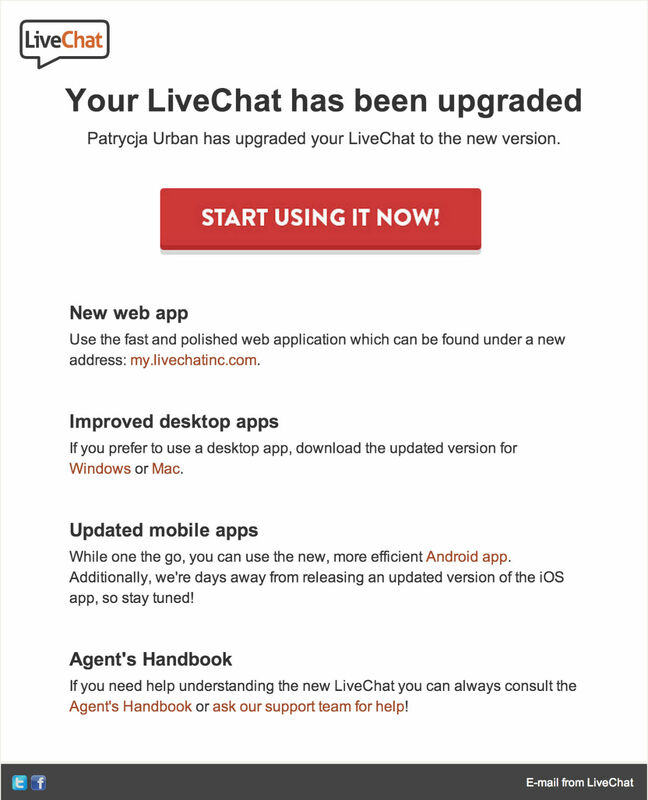 You shouldn’t assume that the person performing an upgrade will notify every employee in the company about it. Hassle-free migration of thousands of customers is a long process. 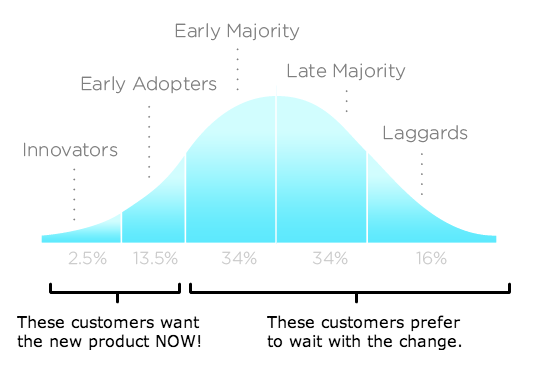 Product adoption cycle tells you that all customers are different, and you need to treat them accordingly. Don’t let the effort put into building a new product go to waste by presenting it incorrectly to customers.